4각에 가까운 원추형의 바위 표면에 불상을 조각한 독특한 형태의 작품이다. 바위 꼭대기에는 동자상(童子像)이 있었다고 하는데 지금은 없어졌다. 동쪽면에는 좌상 1구가 있고, 북쪽면에도 좌상 1구가 합장하고 있다. 남쪽면에는 표현수법이 비슷한 4구의 입상이 있으며, 서쪽면에는 원래 2구의 불상이 있었는데 일제시대에 광부들이 1구를 떼어갔다고 전해진다. 이들 불상은 모두 세부표현이 거의 같다. 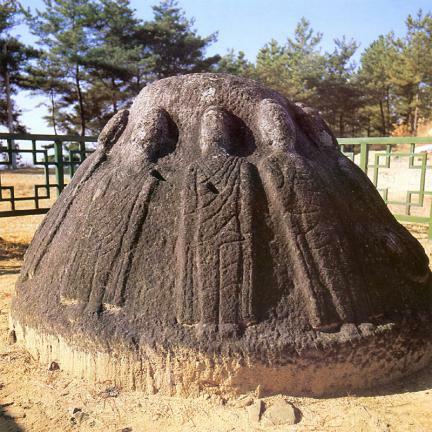 민머리 위에 높게 솟은 상투 모양의 머리(육계)를 가지고 있으며 얼굴은 길쭉하다. 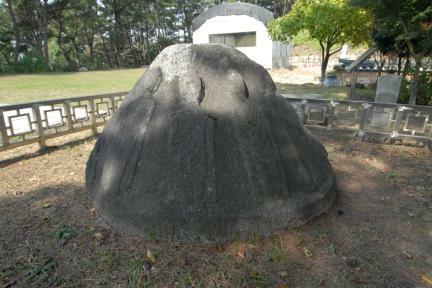 신체는 길고 굴곡이 없이 밋밋하며 경직된 자세와 간략하게 표현된 옷주름의 처리 등에서 형식화된 모습이 보인다. 불상의 발 아래에는 돌출부분을 마련하여 대좌(臺座)를 대신하고 있다. 비록 불상의 표현수법에서는 고려 석불상에 흔히 나타나고 있는 형식화된 모습이 보이지만 독특한 겉모습과 사방불적(四方佛的) 특징이 표현되고 있어 귀중한 자료로 평가된다. 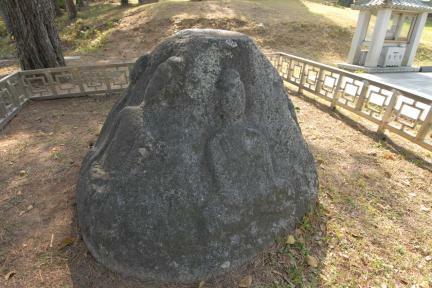 This is a unique style of Buddha statues carved on an almost square-like, cone-shaped rock. 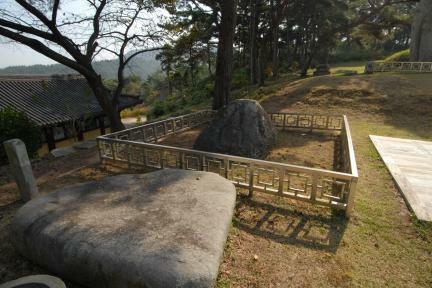 There used to be a statue of a young boy on top of the rock, but it is now gone. 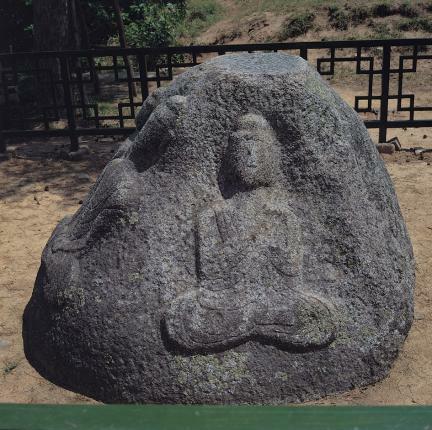 A seated Buddha statue is placed on the east side, with another seated image with hands put together on the north side. 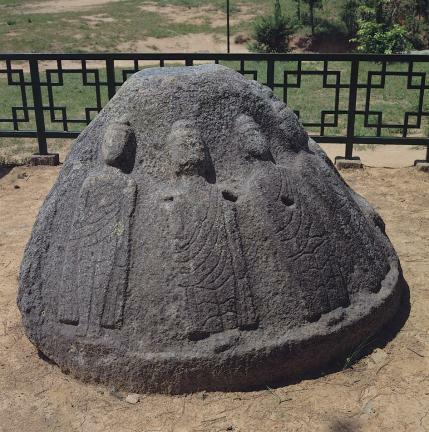 There are four standing statues whose expression styles are similar to each other on the south side. 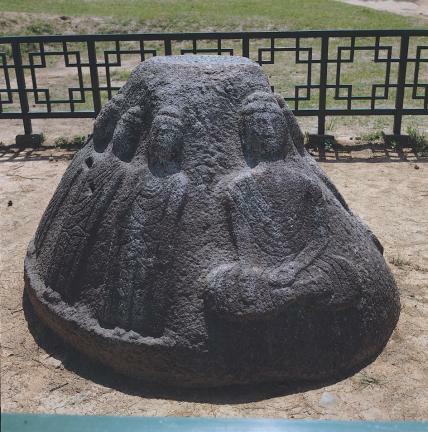 Moreover, two Buddha statues used to be on the west side, but miners are said to have taken one statue away during the rule of Japanese imperialists. The details of these Buddhist images are almost similar to each other. All of the Buddha statues have high usnisa (protuberance symbolizing supreme wisdom) on top of their heads, and their faces are long. The bodies are long and flat without curves. 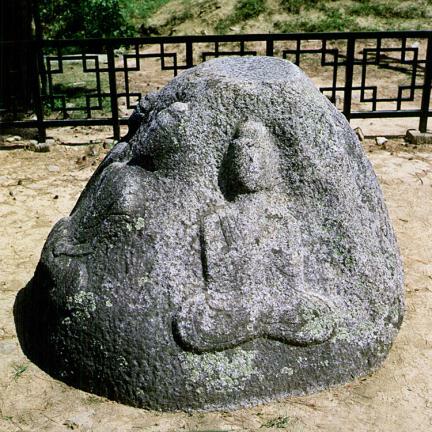 The stiff postures and simple folds in the clothing are expressed in a formal way. 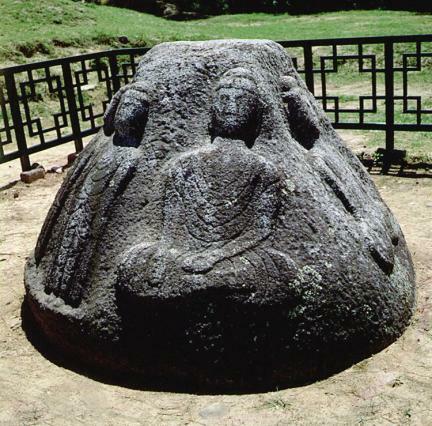 Below the feet is a protruding piece that serves as a pedestal. 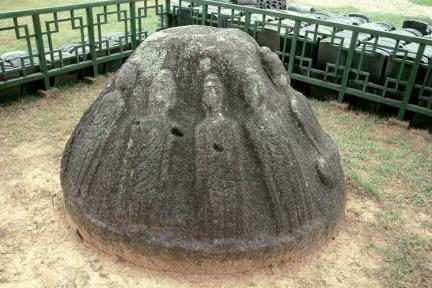 Although the carving techniques used for expressing the statues are common and formal in Buddha stone statues made during the Goryeo Dynasty, it is regarded as a valuable cultural asset exhibiting its unique appearance and the four-sided Buddhist images.